How much cruelty can you squeeze into a 150,000 word novel? 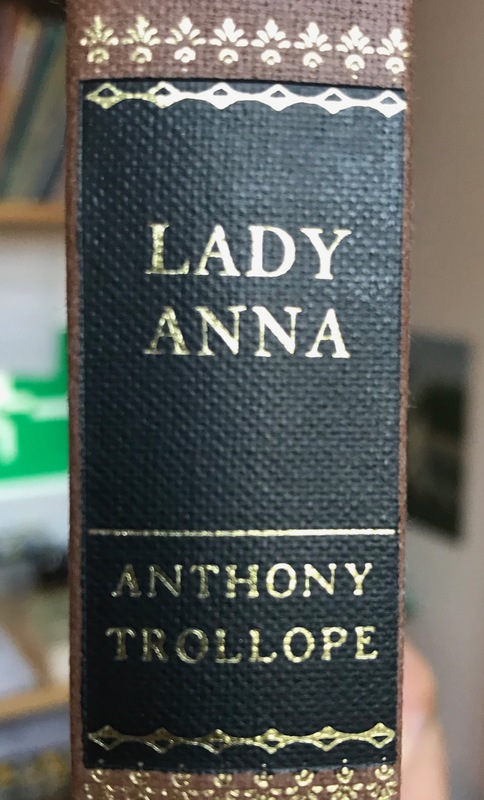 A huge amount, if that book is Lady Anna, written by Anthony Trollope at the astonishing rate of 16,500 words a week on a voyage from England to Australia between 25 May and 19 July 1871. The plot (no spoilers follow) revolves around a conflict: should the eponymous heroine marry a low-born tailor; or a young earl, of her own class? She loves the tailor – or does she? Almost every other character in the book, especially her mother, believes she should marry the earl; and subject her to extraordinary pressure to bring about this result. It must be told that the Earl was a man who had never yet spared a woman in his lust. It had been the rule, almost the creed of his life, that woman was made to gratify the appetite of man, and that the man is but a poor creature who does not lay hold of the sweetness that is offered to him… The life which he had led no doubt had had its allurements, but it is one which hardly admits of a hale and happy evening. Men who make women a prey, prey also on themselves. Trollope’s socially advanced message fell on stony ground in 1871. It feels a bit passe 147 years later. Indeed, while Trollope was consciously adopting radical positions, many of his own convictions, as embodied by some sympathetic characters in the book (a “Lakeland poet” or the Solicitor-General) feel pretty conservative today. Where Lady Anna remains entirely relevant is in its depiction of how the eponymous heroine comes under pressure from society to “do the right thing”; and how she responds. The pressure to conform does not apply only to women; but in a society where women have less power than men, the pressure on the former will always be greatest. ‘I don’t want my wife to have anything of her own before marriage,’ said he; ‘but she certainly shall have nothing after marriage, – independent of me.’ For a man with sound views of domestic power and marital rights always choose a radical! No usage to which woman had ever been subjected, as has been said before, was more adapted to elicit compassion and energetic aid. But nineteen years had now passed by since the deed was done, and the facts were forgotten. Who yet ever met a man who did not in his heart of hearts despise an attempt made by others to deceive – himself? They whom we have found to be gentler in their judgement towards attempts made in another direction [ie their own deceiving of others] have been more than one or two. On such occasions the part of the bride is always easily played. It is her duty to look pretty if she can, and should she fail in that, – as brides usually do, – her failure is attributed to the natural emotions of the occasion. The part of the bridegroom is more difficult. He should be manly, pleasant, composed, never flippant, able to say a few words when called upon, and quietly triumphant. This is almost more than moral can achieve, and bridegrooms generally manifest some shortcomings at the awful moment. For: fascinating and often fresh look at a series of contemporary issues, including women’s rights. By Robert Pimm in Reviews, Robert Pimm, Writing: about writing on 23/06/2018 . Leider hanb ich “Lady Anne” nicht mehr – entweder verschenkt oder in diveresen Umzügen verschwunden. Also muss es nachbestellt werden. Danke für den Hinweis! Sie können “Lady Anna” jederzeit bei mir finden!